AGOURA HILLS, Calif. April 3, 2008 -- THQ Inc. (NASDAQ: THQI) today announced that Warhammer® 40,000™: Dawn of War® II, the highly anticipated sequel from one of the industry's premiere Real-Time Strategy (RTS) developers, Relic Entertainment, is scheduled to bring the 41st Millennium's savage warfare to life like never before in spring 2009. Powered by an enhanced version of Relic's proprietary Essence Engine 2.0™, Warhammer 40,000: Dawn of War II will take players to the brutal frontlines of war where they'll experience intense action and visceral combat through a non-linear single player experience and a fully co-operative multiplayer campaign. Set in Games Workshop's (LSE: GAW) highly popular Warhammer 40,000 science fiction universe, Warhammer 40,000: Dawn of War II is being developed exclusively for Windows PC. In addition, THQ is pleased to announce that gamers purchasing copies of the recently released Warhammer® 40,000™: Dawn of War® - Soulstorm™ will be able to participate in an invitation-only multiplayer beta program for Warhammer 40,000: Dawn of War II set to take place at a future date. Warhammer 40,000: Dawn of War II is set in the grim, war-ravaged world of Games Workshop's (LSE: GAW) Warhammer 40,000 universe - a dark, futuristic, science-fiction setting where armies of technologically advanced warriors, fighting machines and hordes of implacable aliens wage constant war. Developed by critically acclaimed RTS developer Relic Entertainment, Warhammer 40,000: Dawn of War II ushers in a new chapter in the acclaimed RTS series, as ancient races - including the dauntless Space Marines and savage Orks - clash across ruined worlds on a mission to claim the galaxy and preserve their own existence. 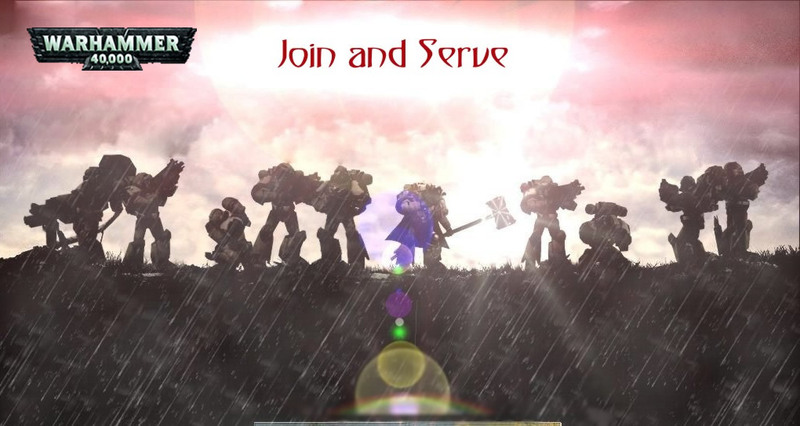 Powered by the re-vamped Essence Engine 2.0, the next evolution of Relic's proprietary game engine made famous in the award winning Company of Heroes, Warhammer 40,000: Dawn of War II will deliver fast-paced RTS action with ferocious melee and ranged combat in fully destructible environments. Immersing players in an in-depth non-linear single-player campaign and a fully-co-operative multiplayer mode, Warhammer 40,000: Dawn of War II is set to deliver the most visually-stunning Warhammer 40,000 setting ever created. For more information on Warhammer 40,000: Dawn of War II, please visit www.dawnofwar2.com. Games Workshop is the world's largest tabletop wargames company. Based in Nottingham, UK, it designs, manufactures and distributes its range of Warhammer and Warhammer 40,000 games, miniature soldiers, novels and resin models through more than 340 of its own Hobby centers, mail order, Internet and independent retail channels in more than 50 countries worldwide. Further details on the company can be obtained at www.games-workshop.com. Games Workshop, Warhammer, Warhammer 40,000, Warhammer 40,000: Dawn of War II, Warhammer 40,000: Dawn of War - Soulstorm, the foregoing marks' respective logos, and all associated marks, logos, places, names, creatures, races and race insignia/devices/logos/symbols, vehicles, locations, weapons, units and unit insignia, characters, products, illustrations and images are either®, ™ and/or ©. Games Workshop Ltd 2000-2008. Used under license. All Rights Reserved. THQ Inc. (NASDAQ: THQI) is a leading worldwide developer and publisher of interactive entertainment software. The company develops its products for all popular game systems, personal computers and wireless devices. Headquartered in Los Angeles County, California, THQ sells product through its global network of offices located throughout North America, Europe and Asia Pacific. More information about THQ and its products may be found at www.thq.com and www.thqwireless.com. THQ, THQ Wireless, Relic Entertainment, Essence Engine 2.0, and their respective logos are trademarks and/or registered trademarks of THQ Inc. All other trademarks are the property of their respective owners.